Friday, 18th of January – Good stories are all around us, we just have to take a closer look to spot them. These two young women are using their voices to change common structures in our society and to create a lasting impact in their local communities and beyond. On Friday, 18th of January at 18:00 at HUB387 Toastmasters Sarajevo will have the honor to host two young female leaders at one of their regular meetings. The guest speaker of the evening will be Lejla Kusturica. As a human rights activist, Lejla believes in solidarity, human potential, active communities, joint initiatives, and the good in people. She never gives up, has strong principles, and constantly strives to do more. Ms Kusturica worked as a philanthropy manager and is now working as an economic empowerment manager in Srebrenica. She started the “Moja Kosa Tvoja Kosa” initiative and founded the ACT Foundation which promotes public galleries in buildings. The newest Toastmaster and second speaker of the evening will be Nudzejma Softic. Nudzejma will be giving her ice breaker speech as a Toastmasters Sarajevo member. She is the founder of the running club “Trcanje i to” or #TiTo. Nudzejma is being called “Iron Nudzi” and is well known for being the first woman in Europe that finished a triathlon and a marathon with a hijab. There are a lot of positive things that can be said about “Iron Nudzi” but the most important one is that she is a real fighter. The meeting will have the usual structure with table topics and a networking session. 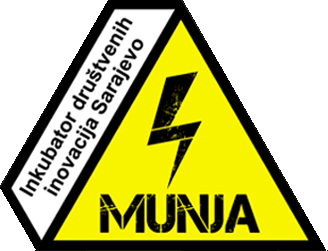 The number of free tickets is limited, therefore please be so kind as to leave your attendance at this link: https://www.meetup.com/SarajevoTMC/events/257997892/ . Don’t miss the chance to meet both these incredible women at once on Friday, 18th of January at 18:00 in HUB387.